Photo: Doug Tewell during the 71st PGA Championship held at Kemper Lakes Golf Club in Hawthorn Woods, Illinois. August 10-13, 1989. (Photo by The PGA of America). Doug Tewell freely admits “golf just wasn’t on my radar” when he was 12 years old. He was far too busy playing football, baseball and basketball in his hometown of Stillwater in those days. However, Tewell’s athletic journey took an entirely new path when he suffered a concussion at age 12 while playing football on Lewis Field. On your feet and into the heat was Labron Harris’ motto for Tewell. Tewell wasn’t a complete stranger to golf, having already served as his father’s caddie. Turns out Tewell also could swing the clubs rather than just carry them. He played the game well, and it didn’t take long to discover this. Born in Baton Rouge, La., Tewell moved to Stillwater at age 11. While Tewell dove head-first into mainstream sports, Hayes began playing golf at age 6 and had become somewhat of a prodigy by the time he was 12, frequently beating older players. 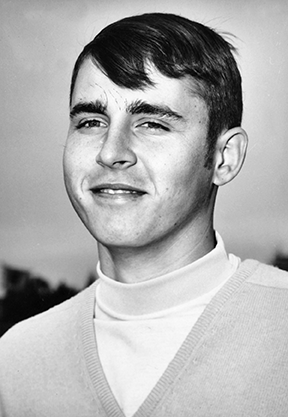 A fellow member of the 2017 Oklahoma Golf Hall of Fame class, Hayes was born roughly seven weeks before Tewell in the summer of 1949. They were in the same class while attending school, and they’ll be in the same class as HOF inductees on Oct. 1 at Oklahoma City Golf & Country Club. Tewell and Hayes being inducted in the same year seems apropos, given how frequently they battled while simultaneously being teammates at Donart High School and Oklahoma State University. The entire Tewell and Hayes families became close. Tewell’s younger brother, Denny, was high school teammates with Doug and Mark. Doug and his wife-to-be, Pam, graduated high school together with Mark. When the Oak Tree development began to grow in the late 1970s, Tewell and Hayes built their houses next to each other. The Tewells’ daughter, Kristi, was the “first and most reliable babysitter at home and on Tour,” according to Mark’s wife, Jana. Doug Tewell, Labron Harris, Mark Hayes. Doug and Mark almost became a package deal as high school recruits, but not at OSU. The University of Houston dominated collegiate golf at that time and coach Dave Williams wanted Hayes on his team. Tewell said Williams promised him a scholarship if he could convince Hayes to sign with Houston rather than with OSU, the same school where Hayes’ parents received their doctorates. “Mark’s dad was not going to let him go anywhere but OSU,” Tewell said. In addition, Cowboys golf coach Labron Harris Sr. already had been teaching Hayes for six years. Meanwhile, the manner in which Tewell wound up with a scholarship to OSU has gone down in school folklore. While Tewell was working his shift at Stillwater Golf & Country Club, in walked legendary Cowboys men’s basketball coach/athletic director Henry P. Iba, who asked if Tewell was ready to join the OSU golf team that fall. “No,” said Tewell, who informed Iba he was being recruited by Wake Forest and that Arkansas football coach/athletic director Frank Broyles and Razorbacks golf coach Danny Mason also were working on a scholarship for Tewell to attend school in Fayetteville. The next day, Iba’s secretary called Tewell to inform him there was a scholarship waiting for him – a basketball scholarship – that would allow Tewell to play golf for the Cowboys. That’s right, a self-proclaimed benchwarmer who gave up the sport at age 12 received a basketball scholarship from a Hall of Fame coach who won two NCAA championships (1945-46) and two Olympic gold medals (1964, 1968). Tewell playfully showed up for the first day of OSU basketball practice. Coach Labron Harris with Jim Deaton, Mike Holder, Chris Cole, Doug Tewell, Mark Hayes and Jim Shade. 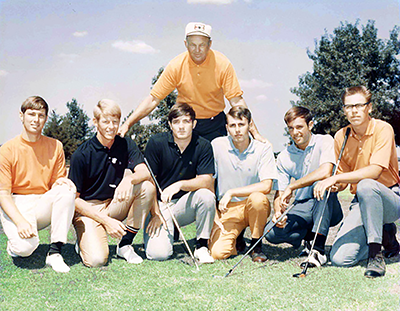 After graduating from OSU in 1971 with a bachelor’s degree in speech communications, Tewell became an assistant golf pro at Kickingbird Golf Course in Edmond and later at Camelback Country Club in Scottsdale, Ariz., before becoming head pro at Pinetop (Ariz.) Country Club. In 1974, Tewell earned a spot in the Phoenix Open, shot 71-69 in the first two rounds while paired with Jerry Barber and Lee Elder, made the cut and earned $75. “Here’s Tom Kite and a couple of guys I knew well from college days saying, ‘Why aren’t you out here (on tour)? You’re a club pro, you step out here in your first event and, ho-hum, you made your first cut? This is so hard to do,’ ” Tewell said. Shortly thereafter, Tewell earned his “Class A” club pro rating with the PGA of America, which allowed him an opportunity to join the PGA Tour in 1975. His quest began as a “tour rabbit” trying to survive stressful Monday qualifiers to earn a spot in that week’s tour stop. Tewell was so proficient on Mondays he had become a full-time tour member by 1977. Tewell never had to endure PGA Tour Qualifying School, nor did he ever lose his tour playing privileges. Doug Tewell at the 2001 MasterCard Championship Hualali Golf Club. Hayes said. “Doug had great tempo,” and that he always knew Tewell would make it on tour someday. 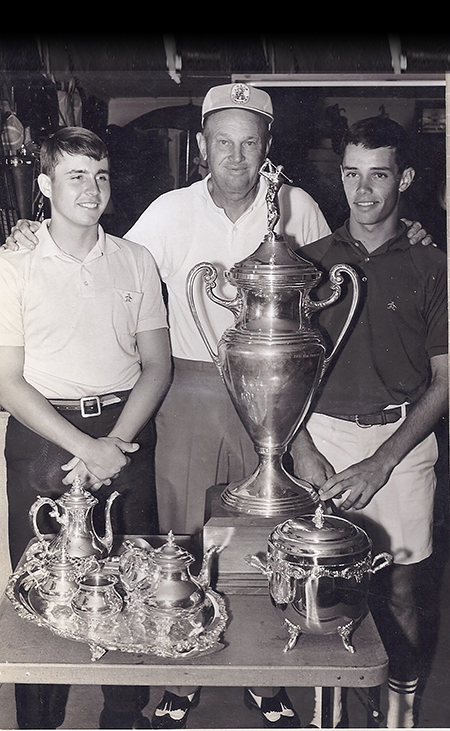 At 30, Tewell posted two victories in the 1980 season, winning the Sea Pines Heritage Classic and the IVB-Golf Classic. 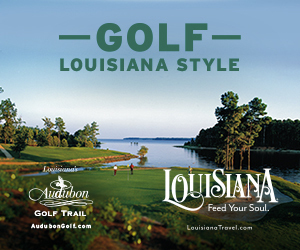 Then came PGA Tour victories at the 1986 Los Angeles Open and 1987 Pensacola Open. He also won the 1978 South Central PGA Championship, the 1982 Oklahoma Open and the 1988 Acom Team Championship (with Bob Gilder). His career was abruptly interrupted when he had a major operation on his left elbow performed by renowned surgeon Dr. Frank Jobe in September 1995 that forced Tewell to miss the entire 1996 season. For the next three years, a recovering Tewell sharpened his game for his debut on the 50-and-older Champions Tour in 1999. Just like he had caddied for his father at a young age, Tewell occasionally caddied for his own son, Jay, when time allowed. Tewell exploded onto the senior circuit, posting eight victories from 2000-04. His first senior win was a major title, the 2000 PGA Seniors’ Championship. He won two more times that year and captured the 2000 Rookie of the Year award on the Champions Tour, beating out legends Tom Watson and Kite. Tewell won a second major championship at the 2001 Countrywide Tradition, where his 23-under par performance became the lowest-scoring total in PGA history for a major championship. As impressive as the Tradition victory was, Tewell said he considers his best career win to be the 1986 LA Open, where he closed with a 63 playing alongside defending champion Lanny Wadkins to win by seven strokes at Riviera Country Club. “That one did a lot for me mentally,” said Tewell, who recalled famed LA Times columnist Jim Murray wrote that Tewell was “bringing the lady (Riviera) to her knees” during the final round. A 2007 inductee into the Oklahoma Sports Hall of Fame, Tewell consistently was one of the game’s straightest hitters off the tee. 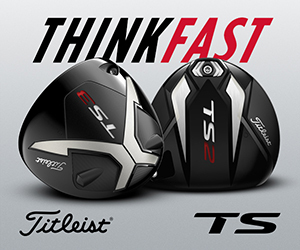 From 1983-95, he never finished out of the top 15 in driving accuracy on the PGA Tour. 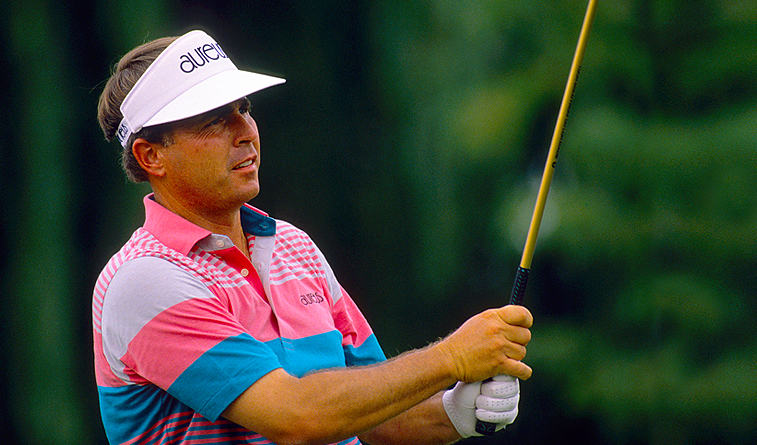 From 1990-95, he never finished out of the top 5 in that category and led the tour in 1992-93. In his entire Champions Tour career, Tewell never finished out of the top four in driving accuracy and led the tour in 2002-03. Accuracy off the tee never was a concern for Tewell. 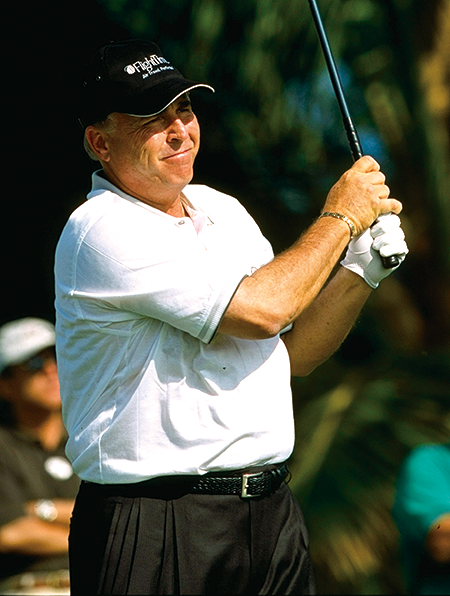 Alas, because of his recurring elbow injury that required a second surgery (this one from Oak Tree neighbor Dr. Carlan Yates), Tewell retired from the Champions Tour in 2007 after earning more than $7.7 million in seven full seasons with eight victories, 11 runner-up finishes and 55 top-10 finishes. When sidelined, Tewell’s degree in speech communications served him well as a golf analyst for the Golf Channel, ESPN and Fox Sports. Since his 36-year pro career came to a close, retirement has allowed Tewell to devote time to local charity work such as the First Tee of Oklahoma City and mentoring young golfers. He also has done multiple instructional videos that were heavily viewed on-line. All told, Tewell earned $10,481,567 in career official prize money on the PGA and Champions tours with 12 victories, 16 runner-up finishes and 115 top-10 finishes.